I love Avicii. Beautiful soul, taken too early. Miss him everyday. In 2012, I made a huge mistake throughout my life. Very soon, I learned that I have HIV. I did not want to live. I did not have the strength. I just listened, listened, listened to music. I listened to Avicii. In December 2018, I turned 40 years old. And in April of the same year you did not become ... You know, I can not speak loud words. I just want to thank you so much for being. For giving me the music that saved me. Know please, you will always be in my memory. Thank you, friend. From his music I find all DJ world. It was a regular morning. I open the news paper, on the second page was the headline,"Swedish DJ passed away at 28." I was stuck in the moment. Felt like time has stopped. I was trying had to make myself believe that it was a not a fake news. Even today I don't feel like I have completely accepted the truth that you are no longer among us in flesh and blood. My will to one day see you live shall be an unfulfilled dream. We will remember you for the ends of time. You live on in our hearts. R.I.P. After watching the film on Tom I felt moved. Tom spoke with such brilliance, he knew exactly how to tell you what he was feeling. He seemed like such an incredible person, he contained so much talent. He was more of an introvert, not someone who wanted to be famous but someone who loves what they do and wants to share it. It was horrible seeing his health both mentally and physically decline. And he couldn't save himself... Music was your escape Avicii, your music will keep you with us forever. Truly blessed to have had the opportunity to see Avicci in person at EDC Las Vegas 2015. I will never forget that moment. WE MISS YOU TIM! Thank you for the selfless act of sharing your gift! Tim, Your Music has inspired me in so many ways! I cant think of a day that goes by without listening to one of your songs, instantly brings a smile to my face! Gets me through the rough times in life. You'll always be in my heart and thoughts! We all know you are up there jamming out. 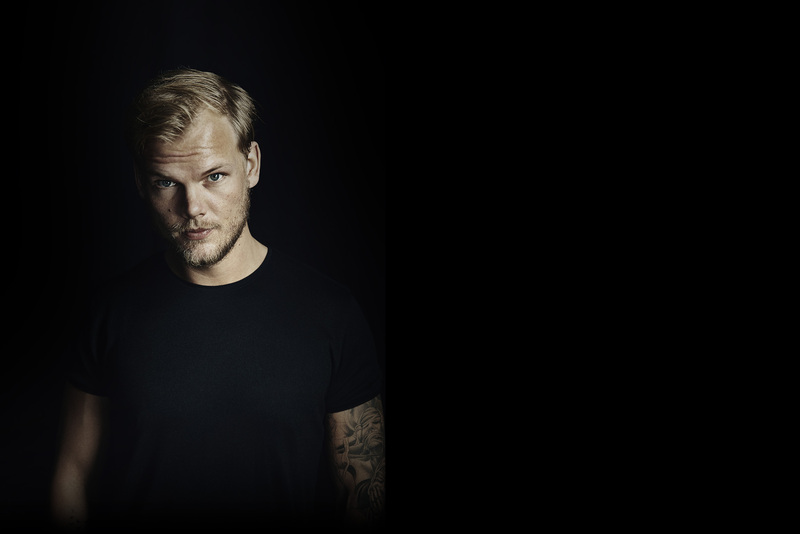 AVICII A LEGEND, NEVER EVER GONE! Always with us. Miss you man! I remember the first time I heard levels, it was the first time I heard and fell in love with edm. From that moment on I was hooked, I’ve been to hundreds of shows and festivals and because of his music I have found happiness and love not just in music, but in life. I’m blessed to have been able to see his talents live. I hope you have found peace. Your music and legacy will live on forever. I wish he would be alive and healthy..
A true inspiration who’s music could make me dance & more importantly continues to inspire me to be the best version of myself that I can be! Your connection with your fans was always something that you valued over everything else, when you responded to my text message i was overwhelmed and had the joy to see a person of such a pure heart. It saddens me that you’re gone but your legacy will still live on through other people, you set an example and a standard not only of creativity but of kindness and love. Thank you for being a huge part of my life. Rest peacefully. Your music is the most beautiful escape from all the bad things that can happen during the day, making me relaxed, more confident and happy. Thank you for being on of the the greatest artists there were. I LISTEN AVICII ALL THE TIME, AND IT‘S NO WASTE OF TIME, BECAUSE YOUR FREACKING AWSOM TIM, DAMN. I dont think people will ever understand the impact Avicii had on our generation. Most people only started listening to EDM because of him. A huge loss to music and mankind. I grew up listening to Avicii. His music could make me smile when I felt down and filled my emptiness with passion. I will always remember the music he made and who he was. I didn’t know him but I knew his music. His music was so good and different from others. I hope those who knew him live a happy life and that his music don’t die with him. hallo Tim, deine Musik ist so genial, du hast EDM Songs geschrieben, alte Musik neu aufleben lassen, Popsongs, Reggae … und dazu sind deine Musikvideos geniale Geschichten. Dank für dich und deine Einzigartigkeit, deine Musik lebt für immer. We miss you here, Tim!! I grew up listening to Avicii ever since I was a little kid. I believe the first song that I ever heard of from him was Hey Brother. And then, soon enough after that, he came out with Wake Me Up, which was a huge part of my childhood. I cannot explain how much Avicii has influenced my life in ways hat I cannot explain. He was a very important man to me and everyone else. I will never forget how much he has impacted my life and has inspired me, and we will miss him dearly. R.I.P. Tim Bergling. Your music filled me with hope and joy and breaths of fresh air and I'm sorry you couldn't find something that made you feel the same. But we love you always. Thank you for changing our worlds. You deserved better. To keep a long story short I cut all ties that I had and started fresh at 21. Avicii helped me through the loneliness, financial struggles, and emotional pain. I was hoping to see him live some day, but now all we have is his legacy. Rest easy. Amo a éste artista más que a nada en el mundo . I had been chasing the song "Levels" for so many years (5 years) since I was a young kid. I had always known the song "Wake Me Up" and when I found out he made "Levels" I was over the moon. I always wanted to meet the guy. RIP Avicii, you have my favorite song award. Thank you for all of the music you've made. You could not be with us forever but your music will. I will never forget the sets you played on Tomorrowland, those were magical and I still listen them monthly. One love. Te echamos de menos Tim. Avicii was how I find out how I produced music, started using Fl Studio. Definitely opened my mind. I continue producing music for Avicii and be one of the biggest. your music made me love to be wild alive and free. thank you for giving me the happiness i needed in a time of my life when all i could do was feel low. i still cant believe youre gone sometimes but i know youre out there in a better place. happy new year avicii 💖 i hope your family has nothing but happiness and peace this new beginning. Avicii inspired me a LOT. He inspired me since i heard about him Since then I always wanted to be like him. I just finished the documentary. He inspired me to buy myself a DJ controler, build myself from scratch a studio, remix lots of other artists and to all be a family. Looking now at myself, I woudn't be much without him. He and his music helped me to pass my most difficult times, his songs made me realise that we are all important and we matter. He also taught me that you need breaks. Happy New Year, Tim. I just finished watching your documentary on Netflix. I feel I have a better understanding of where you were coming from, why you stopped touring, and your passion to create music. I hope you have found peace wherever your soul may rest. Hearing Hey Brother and Levels in the documentary brought me tears because how nostalgic it made me feel. Miss you lots and I wish got to see you perform live. Rest well. The beauty and the art he produced. I love his music and he will always continue to live for the love of his music. Long live Avicii. The music will be here to show his true passion and love for bringing happiness, love, and smiles to the world. We miss you Tim. Everyone that was touched by your music. You’re a better human than music ever deserved. Thank you. Thank you. i can't believe it's been almost 10 months. fly high tim. everyone here loves you. Avicii was the first music producer I have ever listened to. His music introduced me to EDM and I am really grateful for it. I was thrilled when he debuted his new music style that incorporated country with EDM, even if people didn't liked it. I was excited on how his style would evolved from that point on. Unfortunately, we will never know now. I still listen to his music until now.